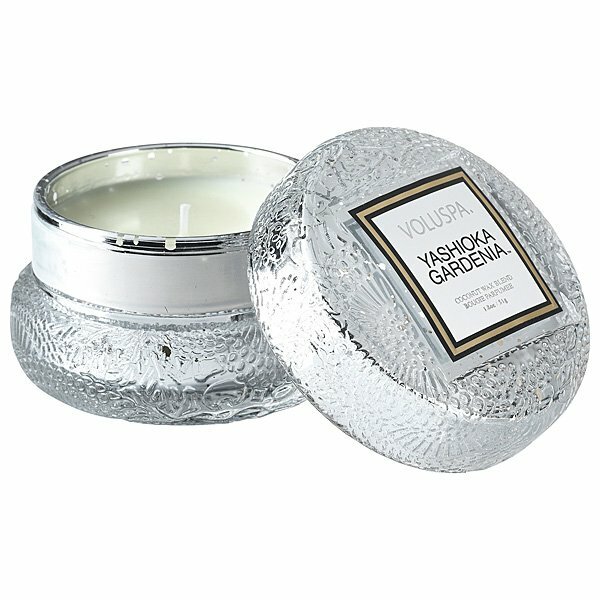 Voluspa Yashioka Gardenia Macaron Candle is an old Voluspa Classic, a delicately colored glass jar shaped like a macaron cookie, repacked and redesigned for the Japonica Collection! An inspirational floral, with a hint of spice, with exotic Yashioka gardenia, tuberose & Tunisan clove. A flower lovers delight!